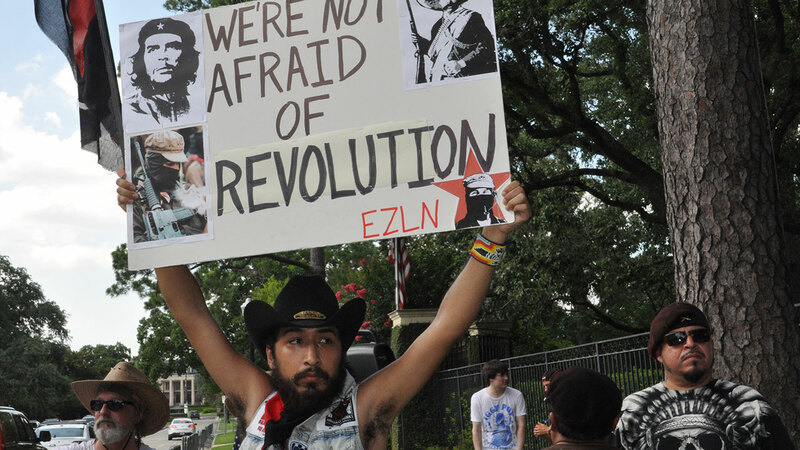 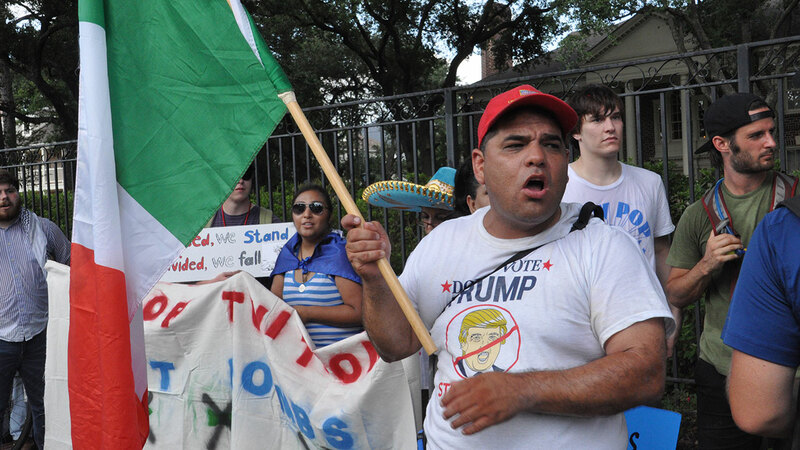 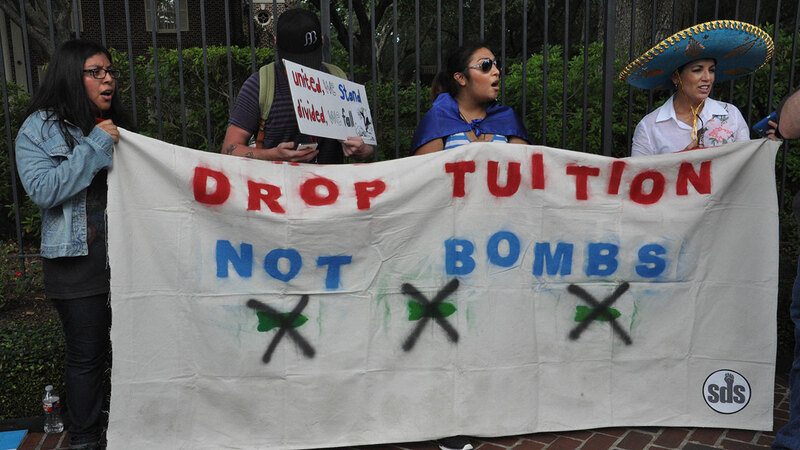 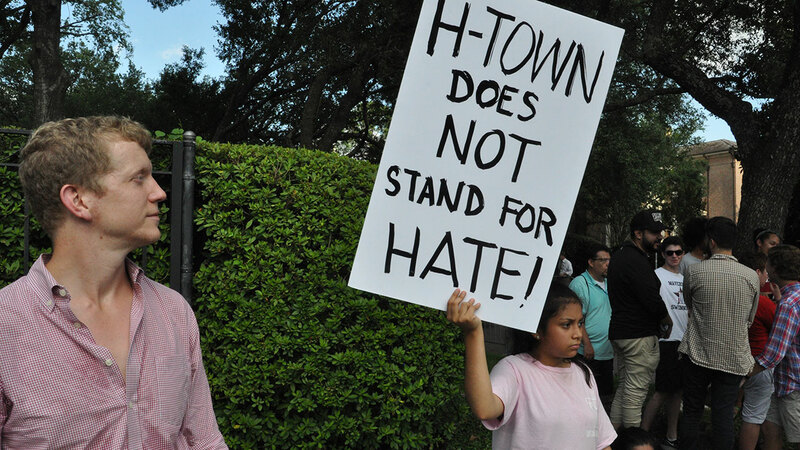 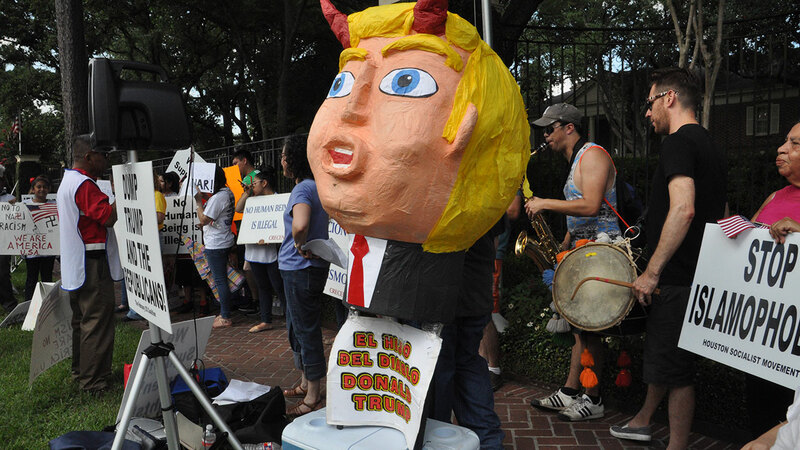 Protesters gather across the street from the site of a Donald Trump fundraiser in River Oaks Friday. 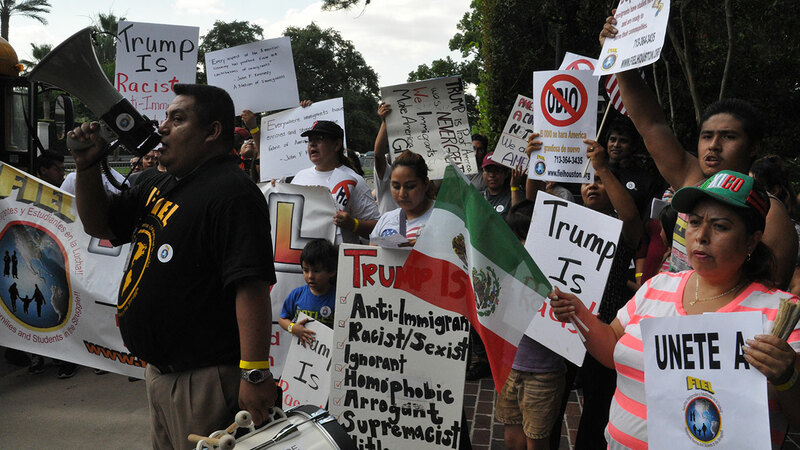 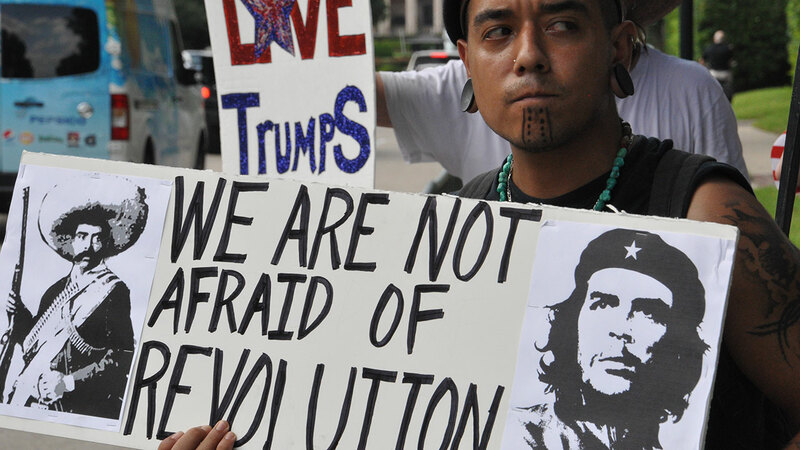 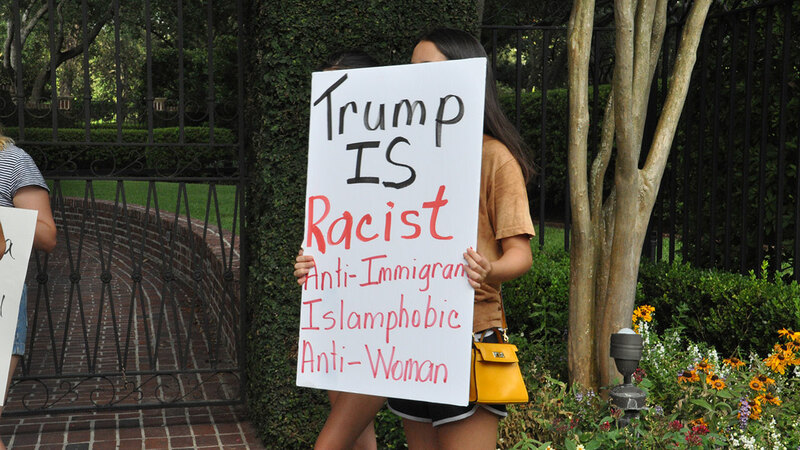 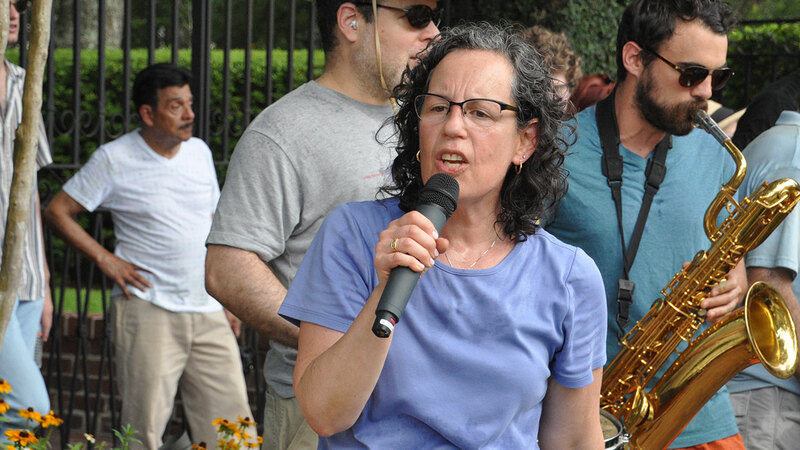 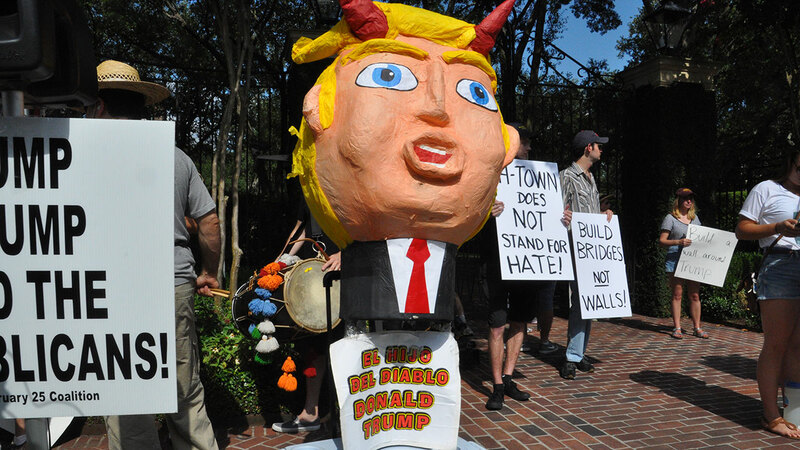 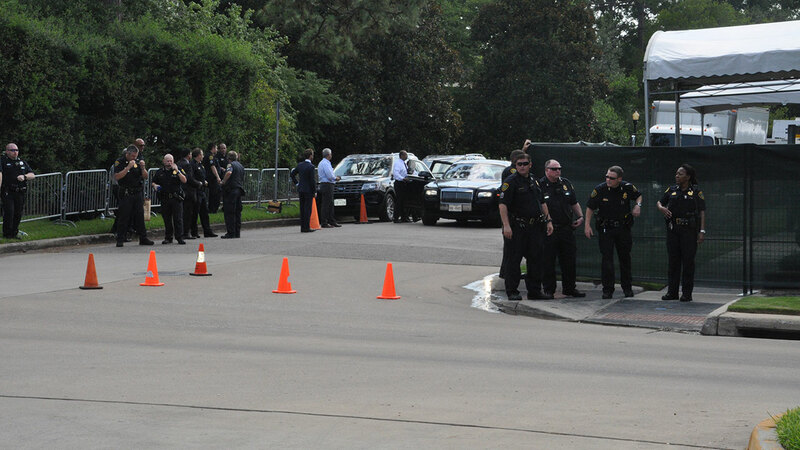 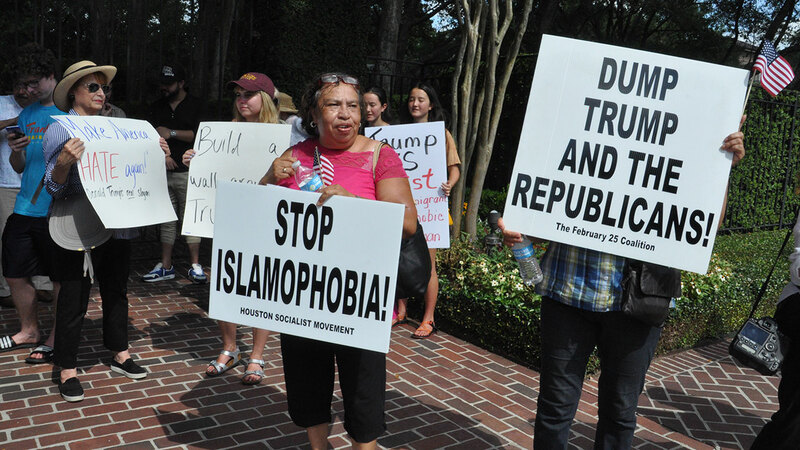 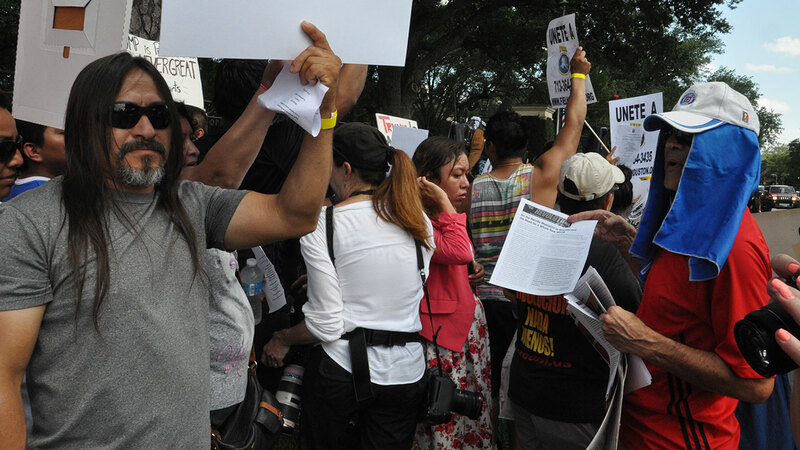 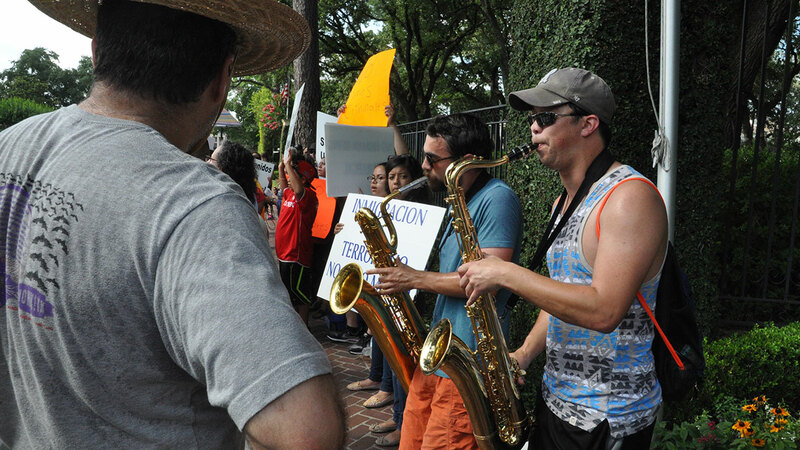 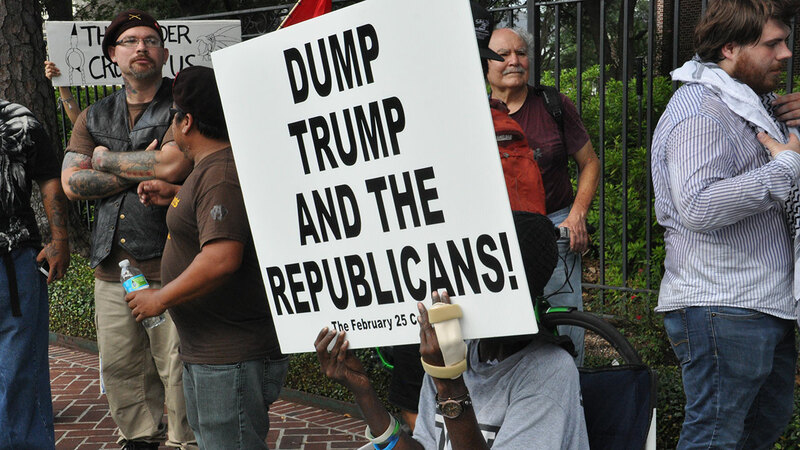 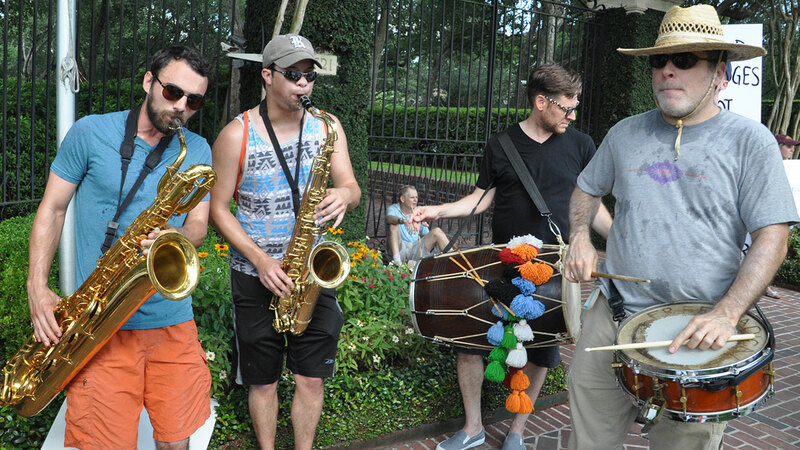 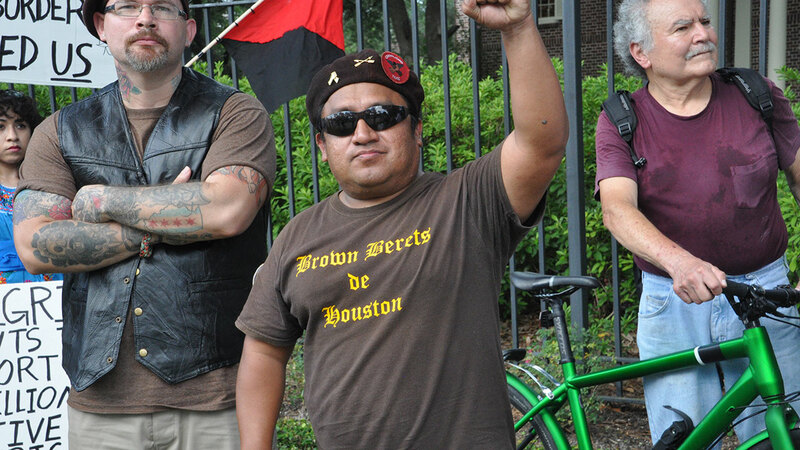 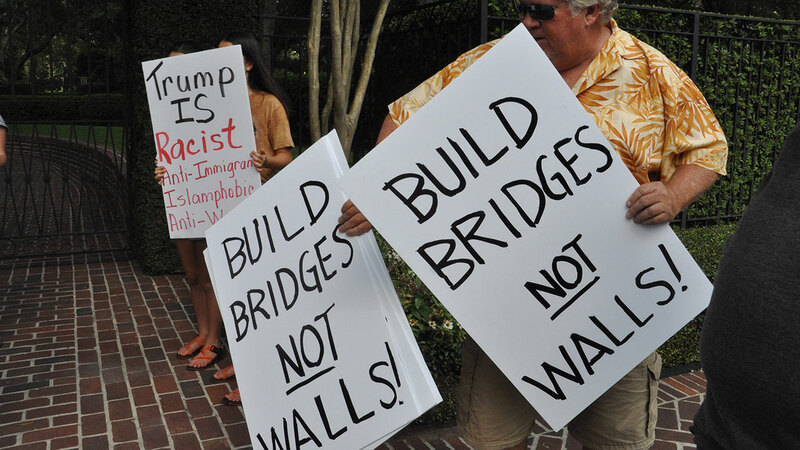 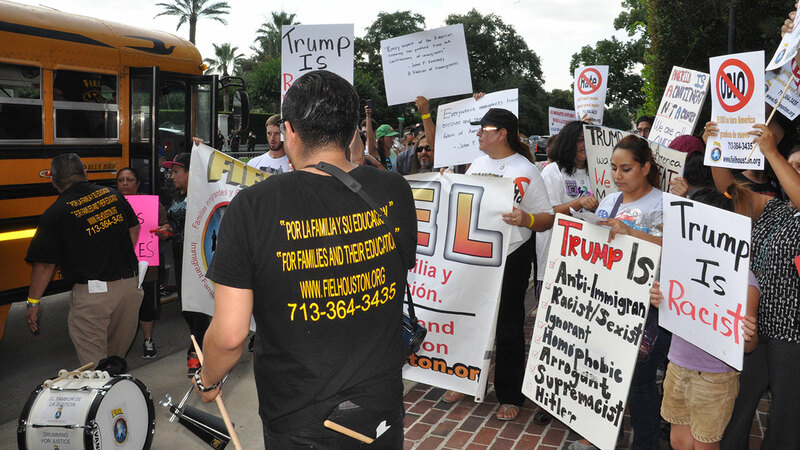 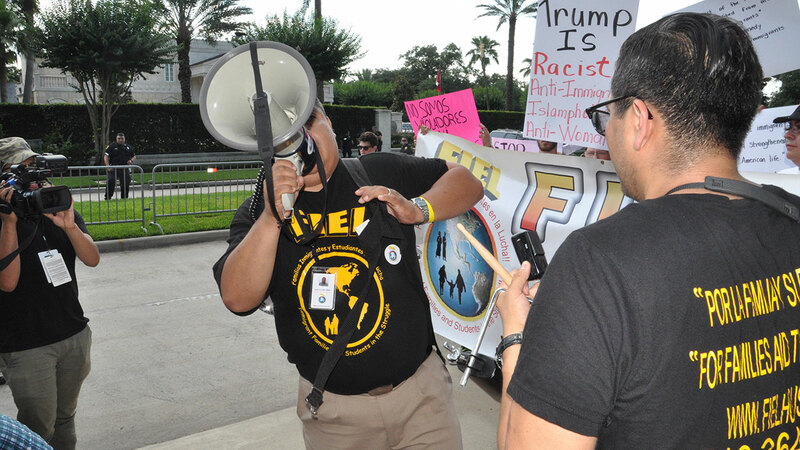 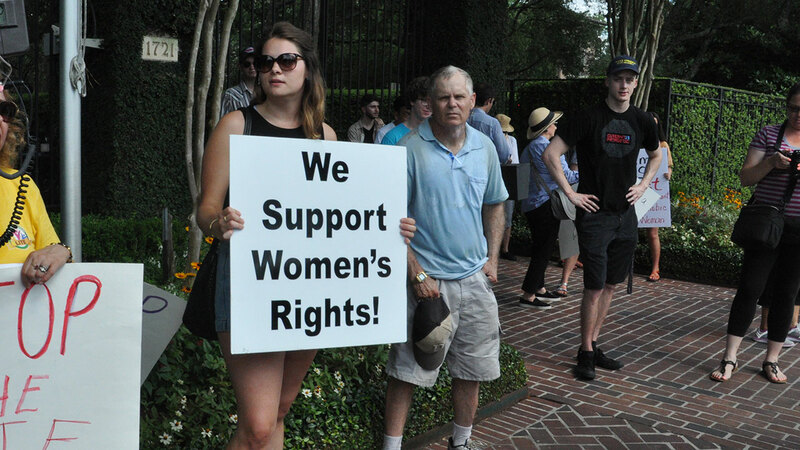 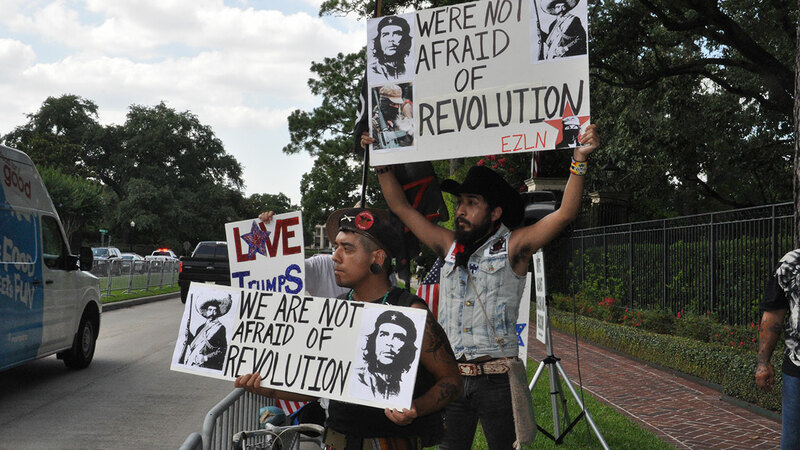 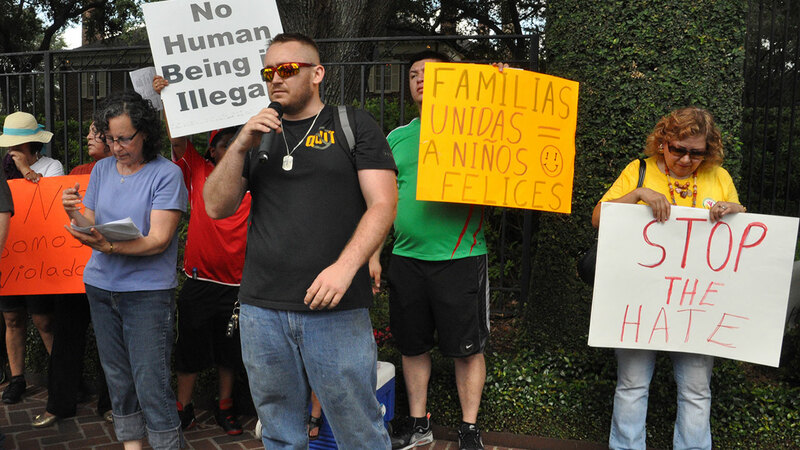 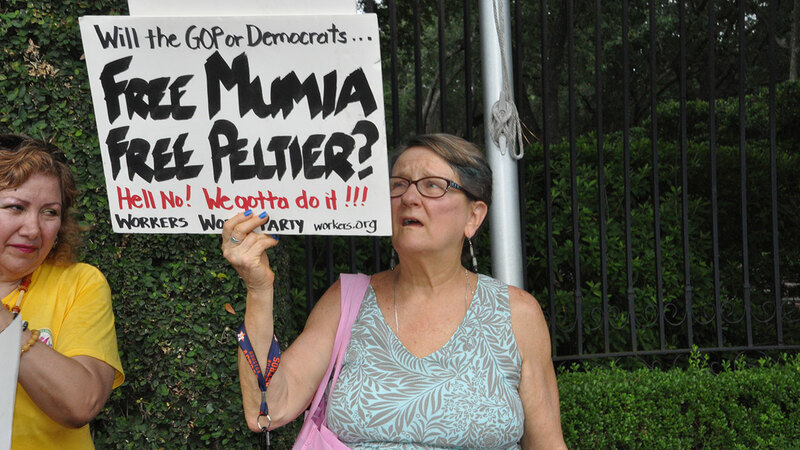 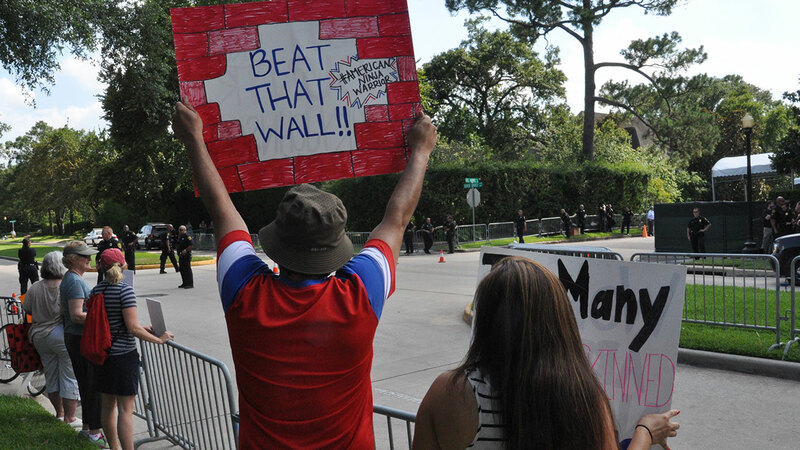 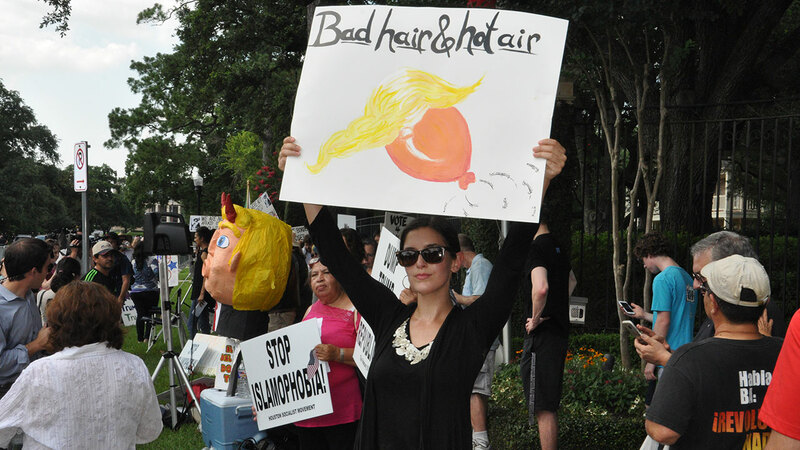 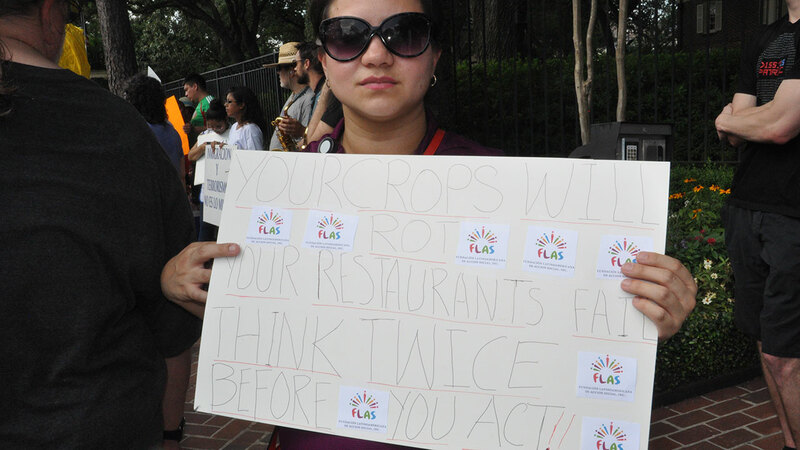 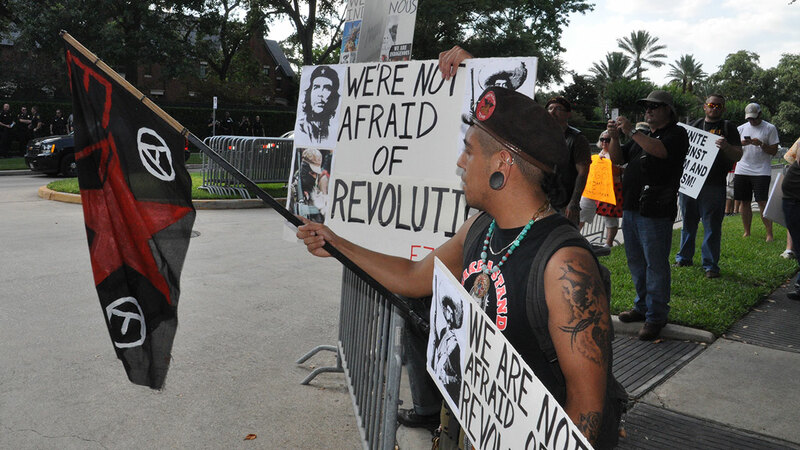 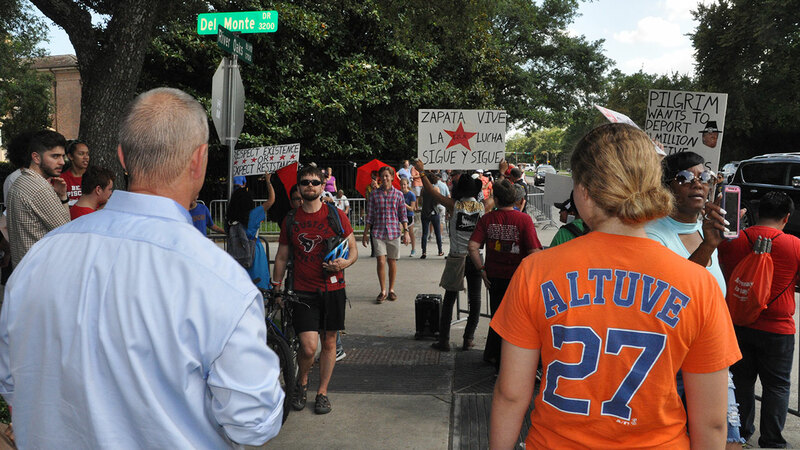 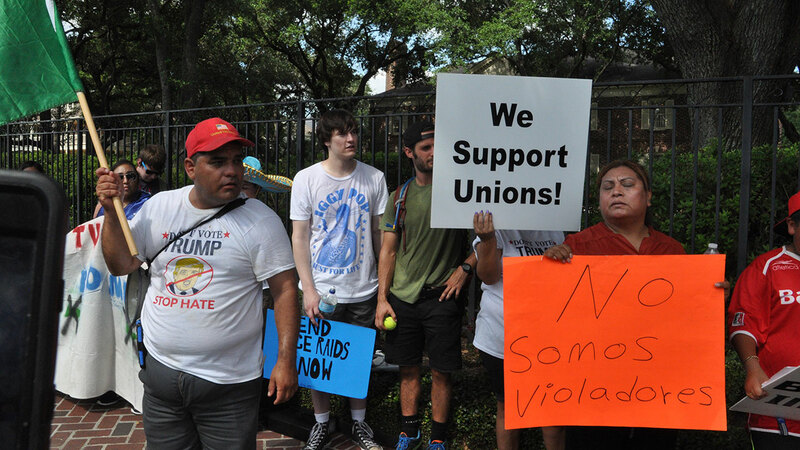 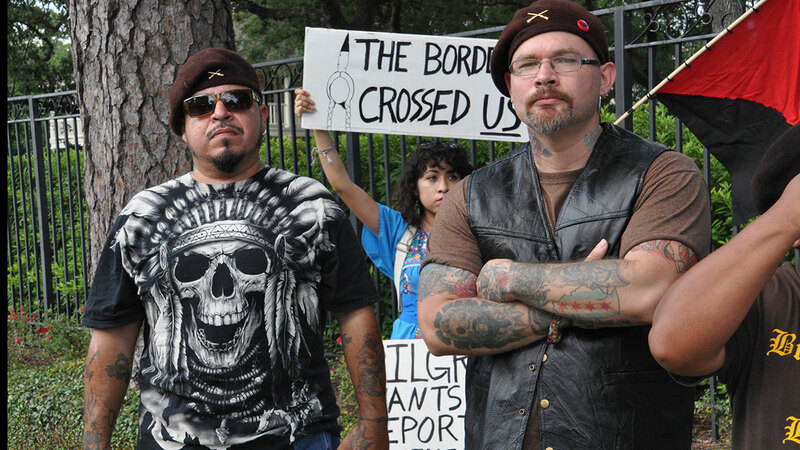 Protesters gathered across the street from the site of a Donald Trump fundraiser in The Woodlands on Friday. 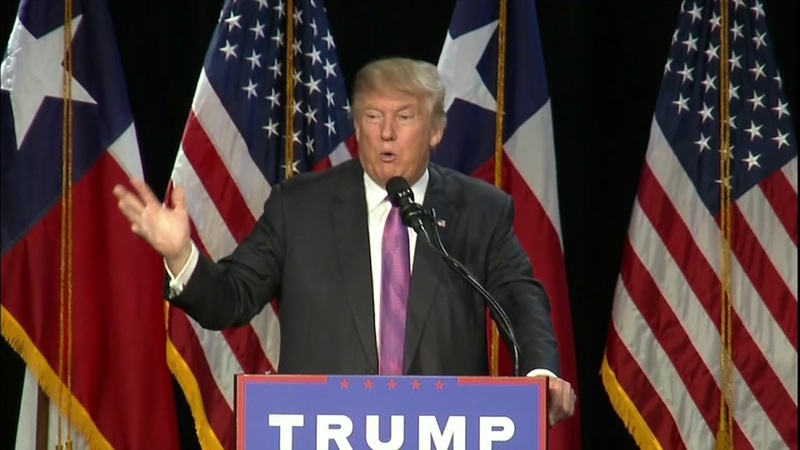 The presumptive GOP nominee was in town for the fundraiser and a rally.